Help employees spend less time trying to connect and more time engaging in productive communications with a single, unified solution for collaboration, conferencing, and messaging. Teamwork should be personal, flexible, simple—more like a labor of love than work. Because better teamwork means success, we’ve created MiTeam. 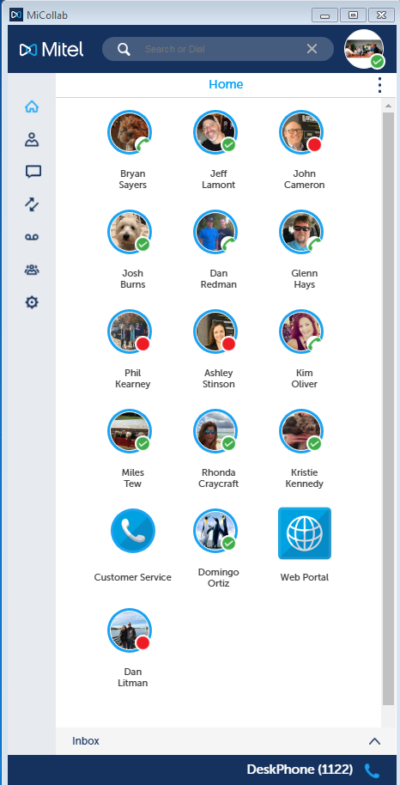 It’s one tool that lets you do everything – messaging, voice, video, collaboration and more – on any device, from wherever you are, through the power of Mitel. In a sea of data, MiTeam is your life preserver. You can store data by project, subject or person and instantly retrieve information including emails, IM conversations, documents and more—all from a single screen. MiTeam works with your favorite business tools right out of the box—Salesforce, Zendesk, etc.—to boost your productivity without sacrificing flexibility. You get more out of the tools you use everyday with a simple interface to manage it all. Break the cycle of endless email strings and bloated inboxes. Get real-time answers to real-time questions with the full context of relevant files, action items and conversation history. Meetings are critical for meeting organizational goals. But when co-workers, partners, customers and others are spread throughout the building, across the country, or around the world, fostering it can be a challenge.